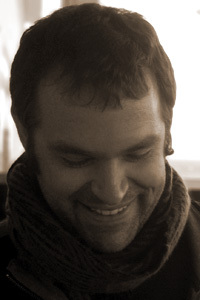 Douglas S. Jones is the author of a chapbook, No Turning East (Pudding House Publications, 2010). His poems have appeared or are forthcoming in The Fiddlehead, Gargoyle, The Pinch, and others. In 2007 he served as Poet-in-Residence for St. Chad’s College at the University of Durham, England. He received his MFA from Arizona State University, where he was the 2005 Theresa A. Wilhoit Fellow.